BR Bultaco is owned by Bruce Reynolds. Bruce started racing Bultacos back in the early 1970's. He was a Bultaco sponsored rider. Bruce rode Dirt Track, TT Scrambles and MX. He went through the ranks with guys like Eddie Lawson, Wayne Rainey, Larry Bird and many others. Bruce ended his Dirt Track career in 1979 to start his family with his wife Kim. Bruce has continued riding for fun and collecting Bultacos as a hobby. 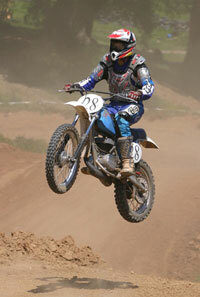 In 1998, with his kids grown, he started racing vintage Dirt Track and MX. Since then, Bruce has won four championships and numerous AHRMA Nationals on his Bultacos. 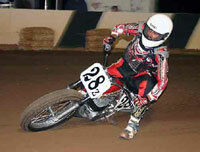 The most recent championship being in 2004 for the Southern California Flat Track Association in the Classic 250/500/750 class on a 1967 250 Pursang. What was once a hobby, Bruce has now turned his passion into a business. He specializes in Bultaco, but will consider other makes. We do not sell parts and are always looking for Bultaco project bikes. We do our own polishing, painting and engine rebuilding. Our Bultacos are not just pretty bikes that have never been started. Instead, we use only the best available engine parts and every bike that leaves our shop runs and shifts perfectly. Restorations are brought back as close to the original factory showroom condition as possible. Race bikes are built to the client's request and with Bruce's knowledge can be of championship quality.